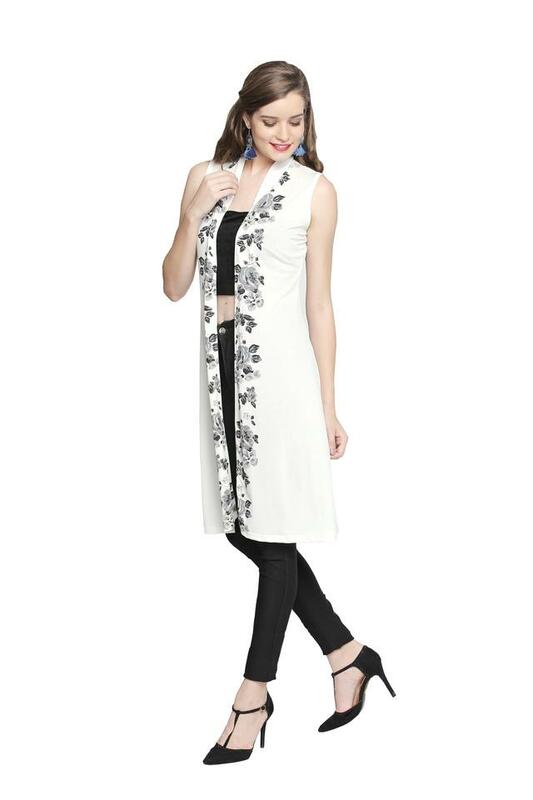 Let your style do the talking by wearing this shrug from the renowned brand, Ira Soleil. It features a printed pattern and that renders it stylish, while the open front adds to the design. Furthermore, it is tailored with a fabric that ensures easy maintenance. 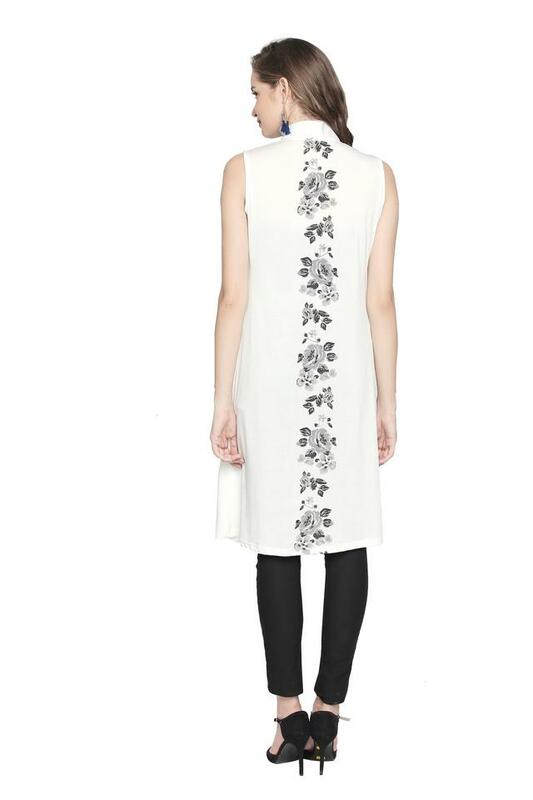 Suitable to be worn on casual occasions, this shrug can be worn over a top along with a pair of high heels.